We know now that it's a myth that wet food is harmful for dogs and cats. In fact, canned food has some distinct benefits from dry kibble that should convince you to include it as a supplement, if not regular diet, for your pet. However, canned food is unique and requires some different feeding instructions from dry food. Here are some tips and tricks to get your pet started on wet food, or to improve the safety and effectiveness of your pet's current wet food diet. Feed wet food to your pet at least once daily to keep your pet well-hydrated, particularly if you have a cat. At about 70% moisture, compared with 10% moisture for dry food, canned food has a moisture content that is closer to your pet's natural prey diet. While canned food is generally better for your pet than dry kibble, the same quality rules apply. Look for canned foods with high meat content (such as chicken, beef, or lamb) and with few carbohydrates such as rice, wheat, or corn. Generally speaking, canned food will have more meat protein and fewer carbohydrates than kibble. While canned food should be okay for your pet to eat after several hours at room temperature (due to differences in your pet's digestive system), it's still a good idea to remove and discard any food that hasn't been eaten within 30 minutes. This way, you can limit any risk of food contamination and discourage grazing, which can lead to overeating and obesity. Store leftovers in a separate glass container in the refrigerator or in the can with a firmly fitting plastic lid or covered with plastic wrap for no more than 5 days to ensure freshness and integrity. Don't store your pet's leftovers in plastic. While food storage plastics should not contain BPA, plastic can impart a bad taste to the food, especially to your pet's super sensitive palate. If your pet isn't used to wet food, start with a canned food that is made up of similar ingredients to your pet's regular dry food. Also, you can mix wet and dry foods together if your pet is still unsure. Feed a variety of wet foods for your dog or cat's best health. Avoid pop-top cans to limit BPA exposure to your dog or cat. Or, choose smaller cans – many do not contain BPA, as opposed to larger cans, which generally do contain at least minimal amounts. BPA has been connected to hyperthyroidism in cats. Blue Buffalo, Merrick, and Canidae are just a few of the BPA-free brands. Limit canned fish varieties for your cat. Other than being addicting to cats, foods high in fish can also increase your cat's exposure to PBDE's, which can increase their risk for hyperthyroidism, among other things. 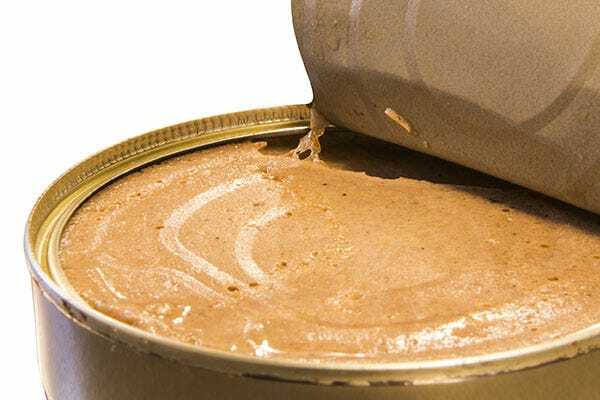 Don't freeze canned foods for your pet. This can change the texture and taste. Pay attention to individual serving recommendations to prevent over or under-feeding. Clean your dog or cat's dish thoroughly after every feeding of wet food. 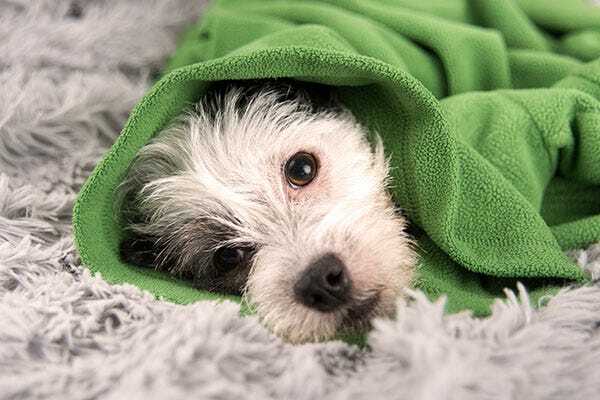 Is your pet recovering from an illness or an upset stomach? Wet food may be the way to go. It's easier for pets to digest than dry food and can restore fluids lost due to diarrhea or vomiting quicker than dry kibble. Wet foods help to facilitate a more meal-based approach to feeding, which can aid in weight loss and maintenance by eliminating eating due to boredom. Their high water-content also helps your pet feel full. Rotating between several varieties of food is not only better for nutrition, but it's been possibly linked to a reduction in the development of allergies. If your cat won't try canned food, try mixing it with a treat he loves, a small amount of parmesan cheese, or some of his kibble. If he still won't try it, don't fret. While canned food can be beneficial to your pet, eating in general is more important. Try introducing the new food more slowly or simply at another time. Never withhold food from your pet for more than 24 hours. Do you feed canned food to your pet? Do you have any tips or tricks we missed?